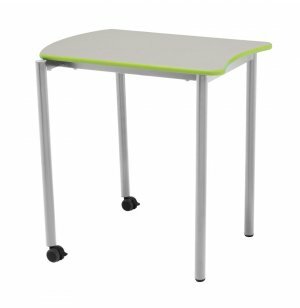 S4 Stacking Collaborative Desks are the classroom solution you have been waiting for. 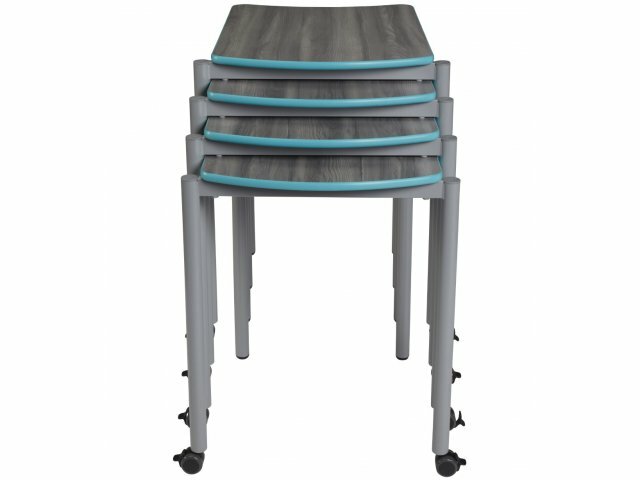 Their convenient, versatile design turns any room into a dynamic, flexible learning space. The large work surface features one concave side and one convex side, which allows multiple desks to fit together perfectly, in a variety of configurations. Two of the legs have locking casters, which facilitate wheelbarrow-style moving. 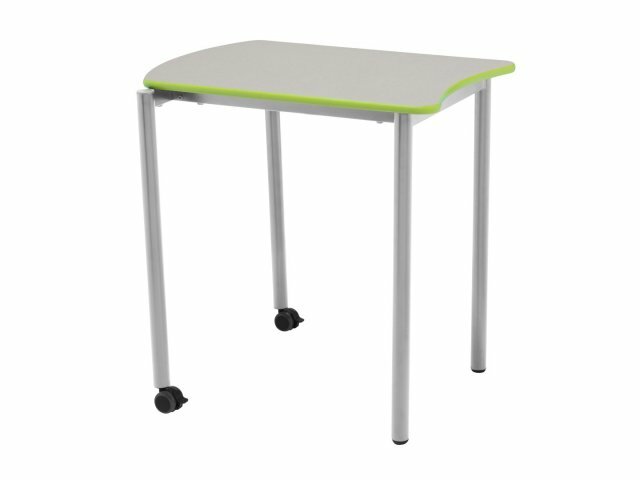 These sturdy collaborative desks are the perfect solution for multipurpose spaces. 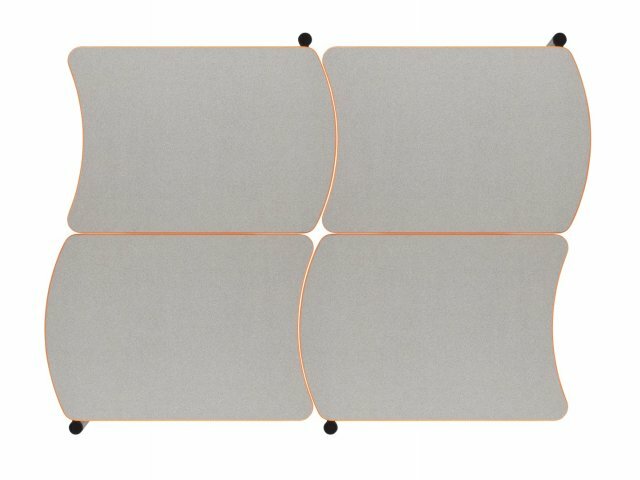 They easily stack up to four high, to save space in storage, and enable you to clear the classroom quickly. 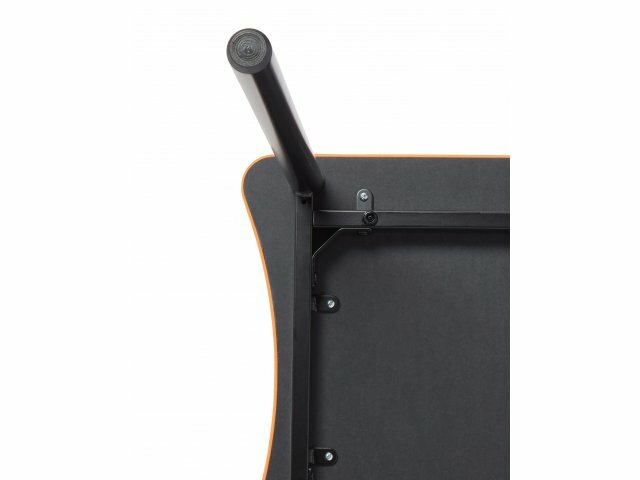 The sturdy frame has six protective bumpers, which protect the desk through repeated stacking. 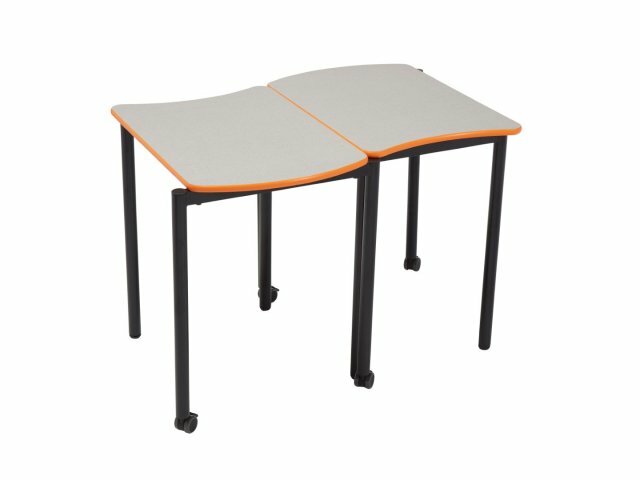 The fully unitized frame ensures that these collaborative school desks will serve you well throughout many years of setting up, rearranging and stacking. Colorful Selection: Edge banding comes in a choice of vibrant hues. Sturdy Frame: Fully-unitized, 17-gauge steel frame provides strong support. Convenient: Stands on two height-adjustable nylon glides, and two casters, which facilitate wheelbarrow-style moving and stacking. Cool Shape: Large, bullet-shaped tops have one concave side and one convex side, which fit together seamlessly in a variety of configurations. Smooth Surface: High-pressure laminate surface comes in a selection of attractive colors. Damage Prevention: Bumpers prevent scratches, for safe stacking.